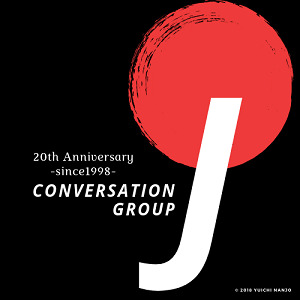 The JCG (Japanese Conversation Group) is a Japanese language group founded in 1997 affiliated with the Japan Society of London, which meets the first Tuesday of every month at the Brewmaster pub, at Leicester Square tube stop. We’re a group of non-Japanese, who either speak Japanese or are serious about learning Japanese, and Japanese native speakers, who come together to converse and participate in speaking activities, or watch demonstrations, wholly in Japanese. A light finger buffet is provided and drinks are purchased individually at the bar. Throughout the year we also hold dinner nights, karaoke, hanami, day trips, summer BBQ, and parties. We welcome Japanese speakers of all ages and nationalities to our events, and it’s recommended that non-native speakers have an intermediate level ability. However, friends and family are welcome to our annual hanami event held every April. You don't need to register in advance and we take a small fee at the door to cover the costs of the buffet. There's really no better way to improve your Japanese conversation skills!